Today, however, such sentiments may be beginning to change. As more and more Americans experience such events firsthand, they’re beginning to make the connection between climate change and its growing impact. Natural disasters and extreme weather events such as high winds and rain storms, floods, droughts and heat waves are happening more frequently — and with greater intensity. There’s some evidence supporting Americans’ change in attitude: A recent survey conducted by Yale and George Mason universities indicates that the vast majority of Americans agrees that climate change is making natural disasters and extreme weather events worse. More than a third of respondents reported that they personally experienced “harm” to their property, finances or physical or mental health from a natural disaster or extreme weather event in the past year alone. Brands should take note: Climate change is becoming more relevant for Americans as its effects become more personal. Crossing such a threshold is significant as it means that consumers will likely become more attuned to corporate activities that impact climate change – either positively or negatively. This, in turn, could significantly impact brand favorability, preference and purchase over time. Consumers may seek to reward brands that help reduce the impact of climate change, while penalizing those that do not. More Americans will experience climate change impact. Whether it be wildfires in the West, floods in the Midwest or Texas droughts, more Americans will be impacted firsthand as the probability of natural disasters and extreme weather events is only expected to increase with time – and reinforce just how personal climate change’s effects really are. Our quality of life is increasingly impacted. Natural disasters and extreme weather events are having a growing impact on the personal life of Americans. While ‘harm’ is an extremely important measure of climate change impact, it does not capture the impact that extreme weather events have on the everyday lives of most Americans. For example, a violent, fast-moving storm may prevent a mother from dropping off a child at practice. Snow storms in October mean that it is too dangerous for young children to play outside, with tree branches – still full of leaves – breaking off under the weight of the snow. And heat soaring above 100 degrees can be hazardous to those with no means of cooling off. Americans are sharing their stories. Users are taking advantage of social media platforms to document and share content regarding climate change and its impact on natural disasters and extreme weather events. 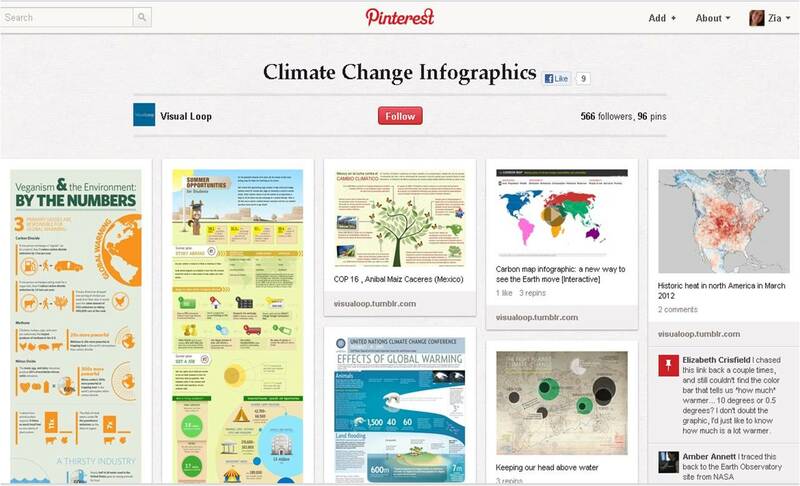 Pinterest, in particular, has emerged as a compelling visual platform to share images, infographics and stories about climate change and weather-related events. Moreover, nonprofits are also facilitating users to share their stories. 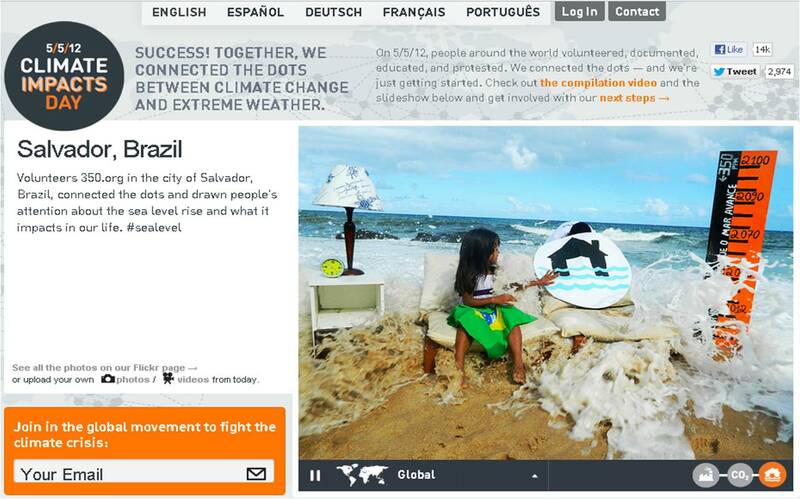 Recently, for example, 350.org launched its global “Connect the Dots” campaign to motivate users to document and share images and stories about local climate change impact across the globe. Americans are seeking out experts. The Yale/George Mason survey indicated that 58 percent of Americans want to hear more from their TV weather forecaster about climate change. Yet today, such trusted experts are largely silent on the issue. Sixty-nine percent of Americans indicate that their weather forecaster never or rarely ever (1-2 times over the past 12 months) mentions climate change. This is consistent with an estimated 72-90 percent drop in climate change coverage across evening and Sunday news programs between 2009 and 2011. In the absence of regular reporting, Americans are going elsewhere for information. For example, a recent CNN interview with Bill Nye the Science Guy making the connection between wildfires and climate change has nearly a half million views on YouTube. As the effects of climate change hit home, consumers will become more attuned to corporate efforts addressing the matter. Over time, they’ll indicate brand preference as well. Companies should take this into account when considering future commitments to more sustainable actions.